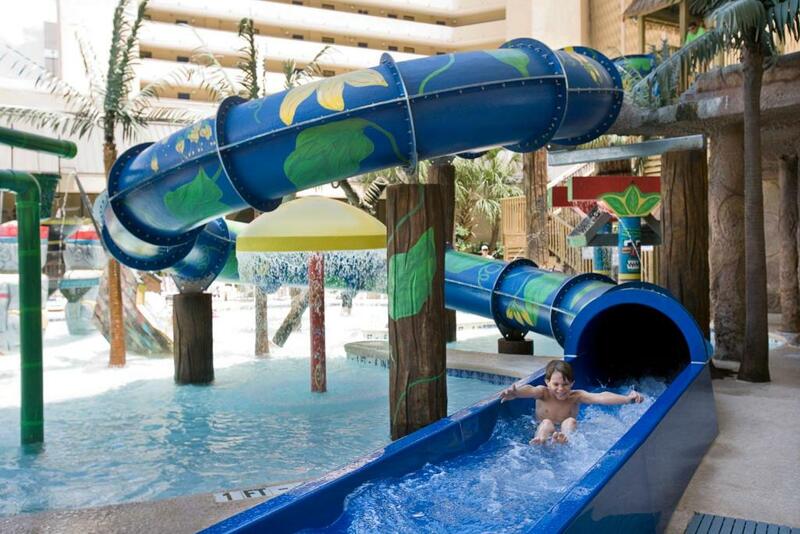 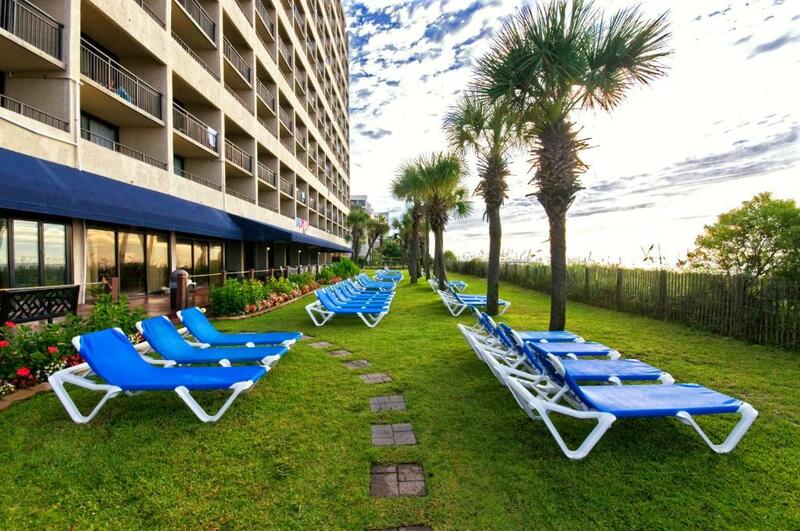 This beachfront Myrtle Beach resort boasts 2 pools a water park and rooms with a private balcony. 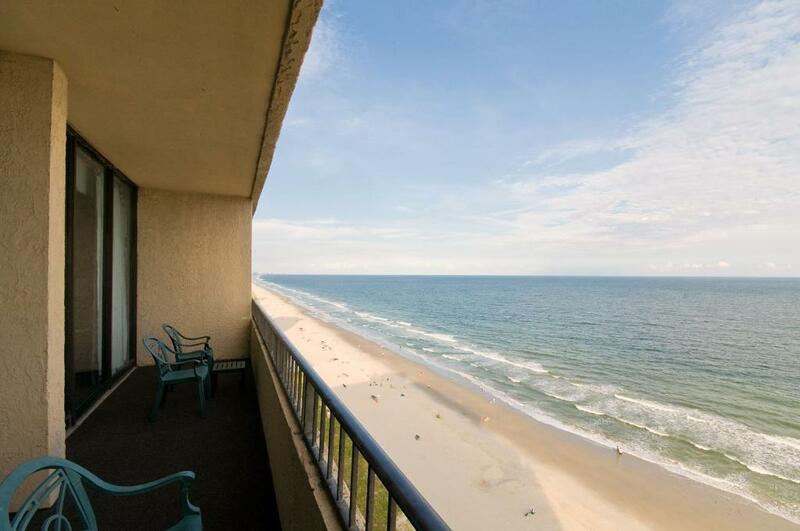 Dunes Golf Course is just 2.8 km away.Free WiFi a refrigerator and microwave are standard in all rooms at the Ocean Reef Resort. 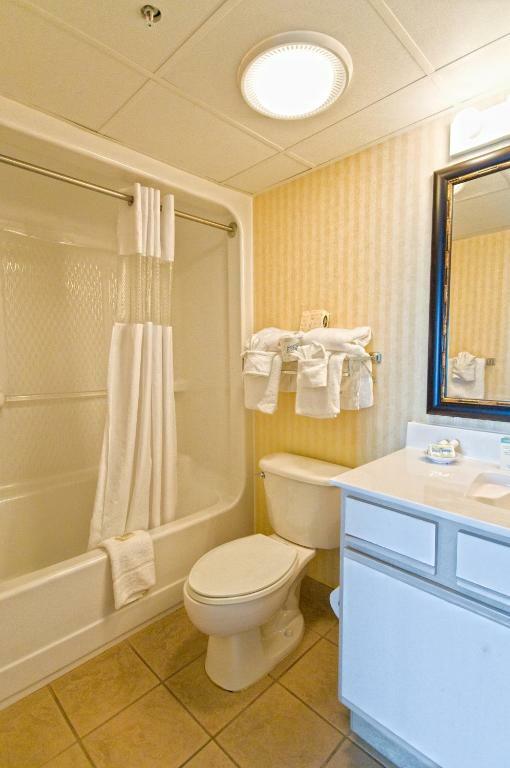 Each room offers a scenic ocean view and includes a seating area.This hotel features a relaxing hot tub and guests have access to the on-site fitness center. 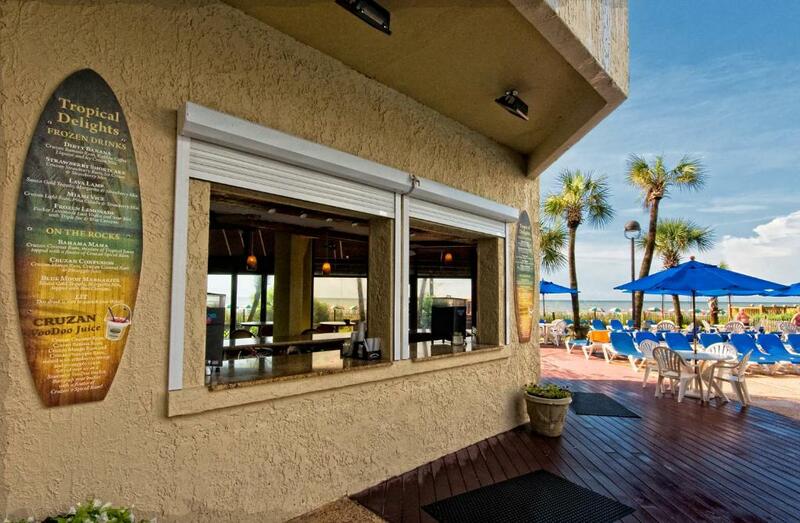 Comfortable sun loungers are available on the oceanfront lawn and the hotel offers a game room.The Resort Ocean Reef offers on-site dining for breakfast and lunch at CafÃ© du Port. 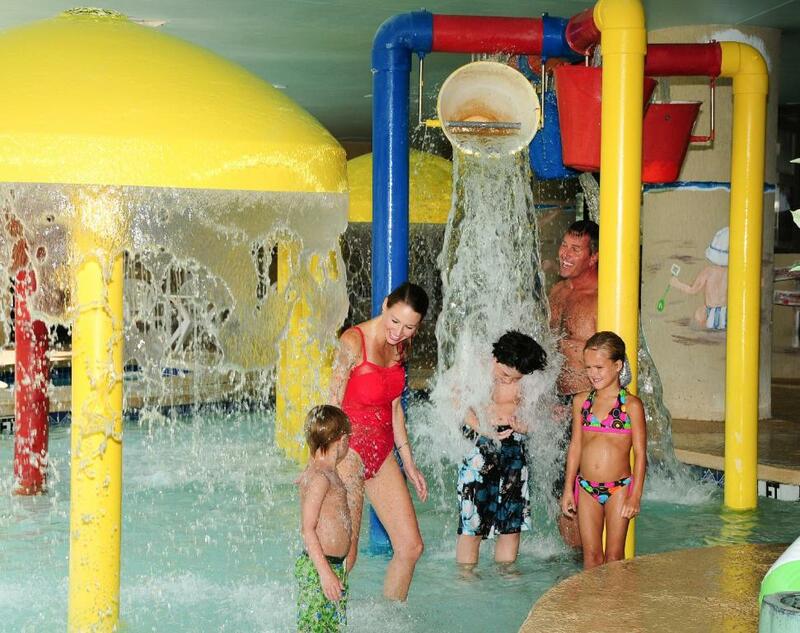 A full bar is offered at the poolside Banana Boat Lounge.This hotel is 12 minutes' drive from both Ripley's Aquarium and Broadway at the Beach. 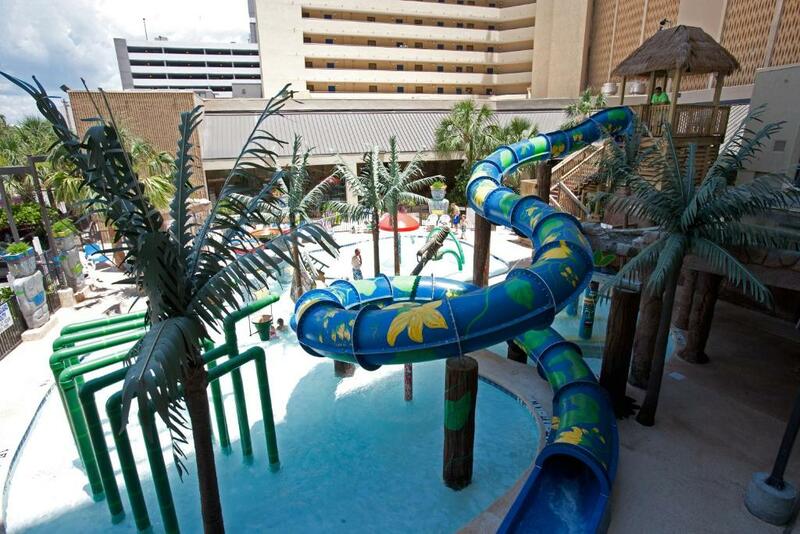 Family Kingdom Amusement Park is 9.2 km from the hotel and Myrtle Beach International Airport is 14 km away.